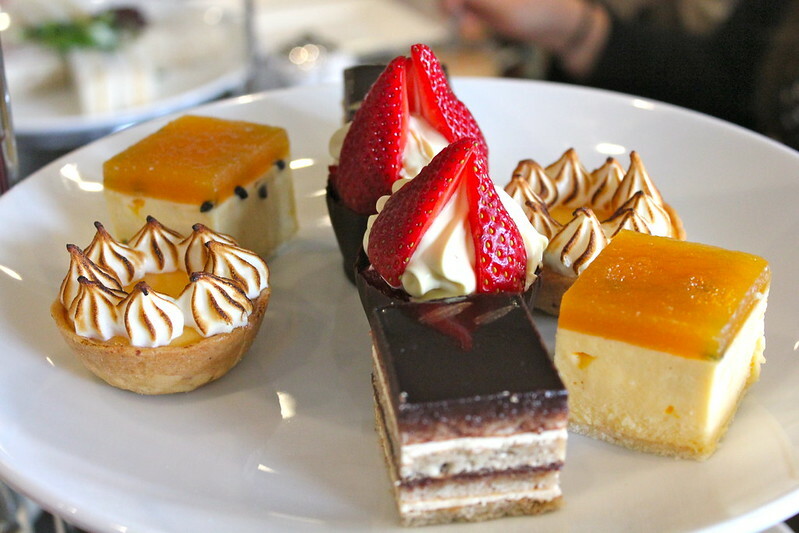 Luckily for me, there are many choices out there for those wanting to attend a high tea – and thank goodness for Sydney food bloggers helping to make decisions so much easier by giving me a couple of reviews to choose from! Since my work colleagues and I work in the North West of Sydney, the Stamford Grand at North Ryde was a great choice for us – very close, has free parking and as a bonus is a little cheaper ($30 per person Monday-Friday or $35 on the weekend) than some other high tea establishments at the city which normally start at around $40 a head. 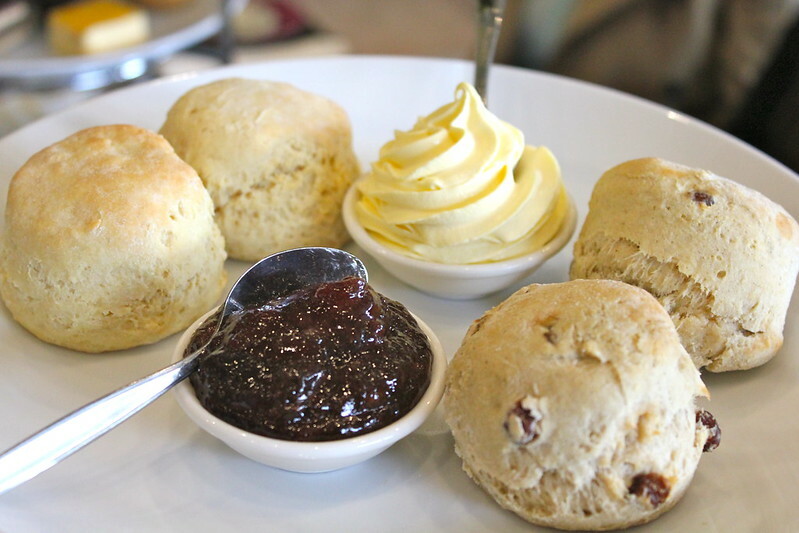 Two freshly baked scones each – one raisin and one plain. Finger sandwiches shared between two. Smoked salmon and dill sour cream, cucumber and cream cheese, coronation chicken (with raisins and curried mayo), eggs and chives. 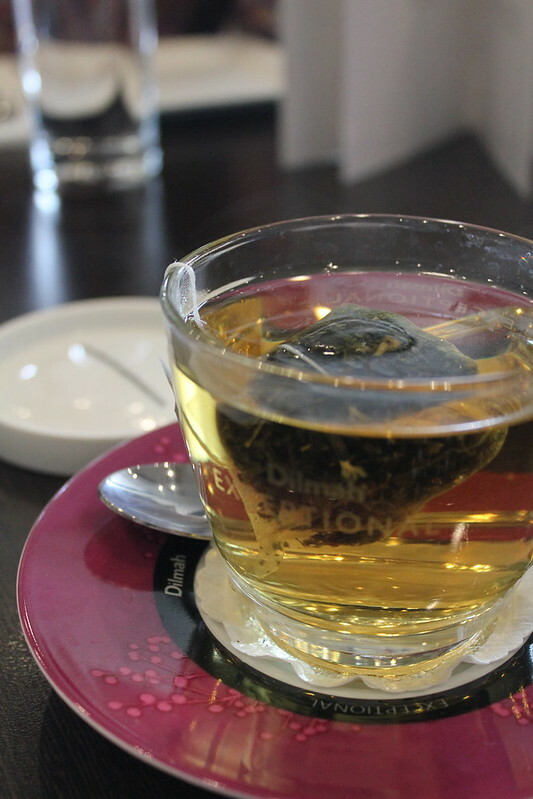 if you’re not in a tea drinking mood! 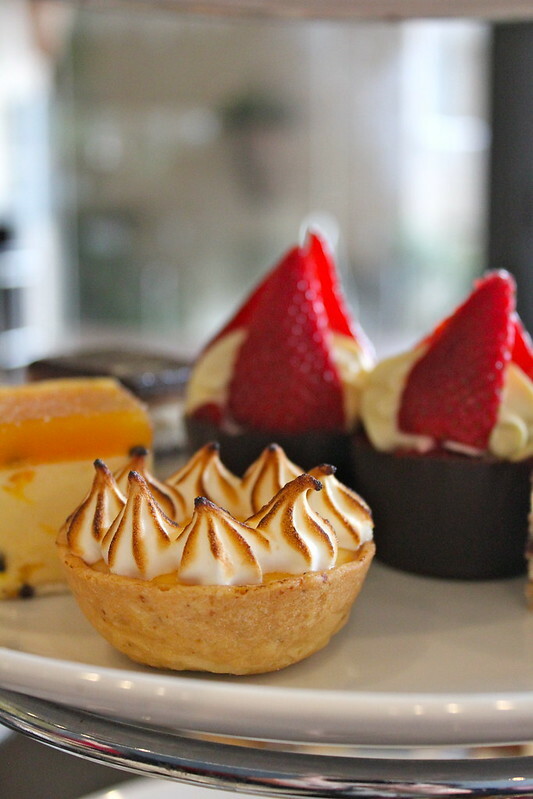 Stamford Grand offer a gluten free version of their Captain’s High Tea at no extra charge. They also offer a selection of sparkling wine and champagne if you’re interested in fancying your High Tea up that extra notch. 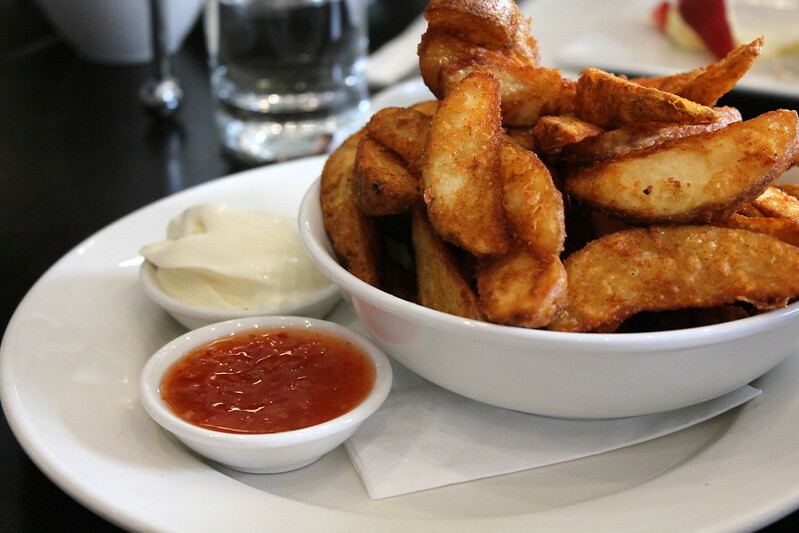 There is also a small range of savoury options you can order on the side if you’re feeling a little bit peckish for some savoury treats (includes dishes such as wedges, duck spring rolls, satay sticks, curry puffs and calamari). All in all I had a great time at the Captain’s High Tea and will definitely return some time in the future. Good value for money, with a good selection of sweet treats, decent service and big points for the free parking lot (which makes getting there a total breeze!) I communicated with one of the staff members in regards to my booking via email and they were very prompt and extremely helpful in their replies – another big plus. 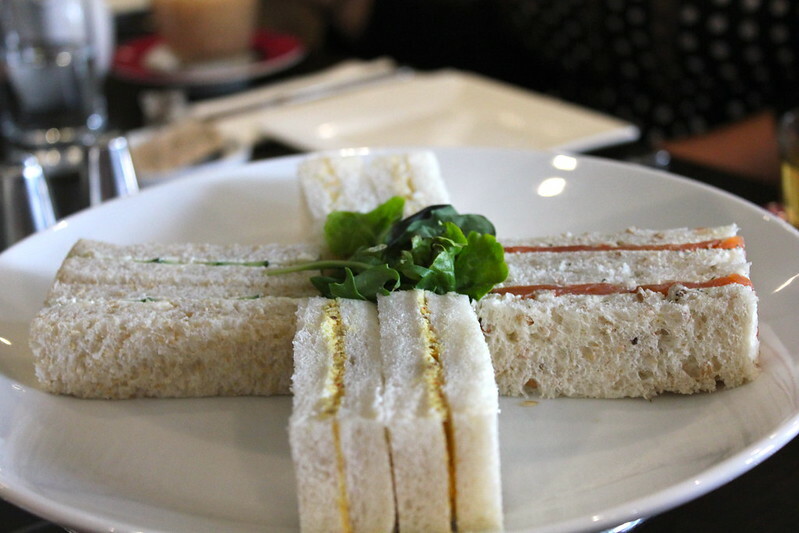 The only thing I feel they could have improved on was probably the ambience/decor – we were served the high tea in more of a restaurant/cafe style setting – which was totally fine, but probably less high tea themed than I normally imagine. I do so love stepping into the QVB Tea Rooms and others where you’re served in just the most stunning rooms! Here’s to another week ahead – the countdown to next weekend beginneth yet again! Mmm I keep forgetting how awesome they are and easy to bake. Need more scones in my life! Oh my word! That looks ah-mazing! Definitely a favourite past time! Looks just lovely! And nice to hear they have a GF version too. Me too! 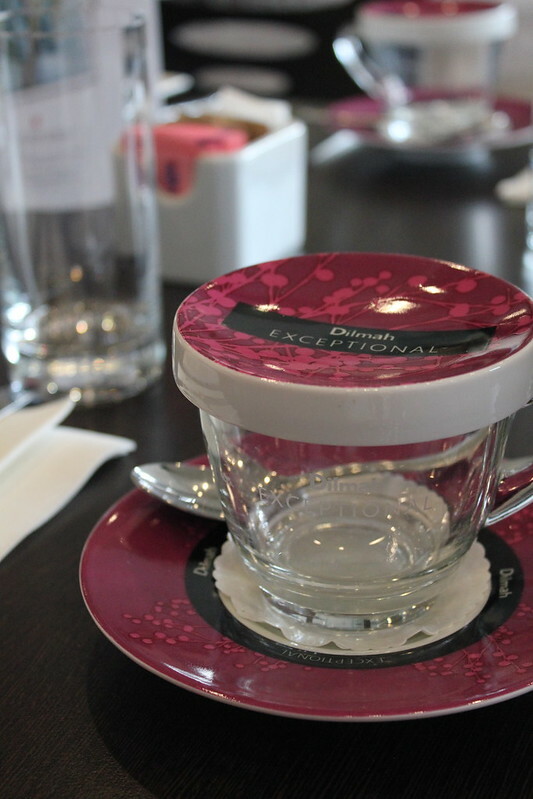 What a lovely idea, I would love to host my own high tea one of these days! 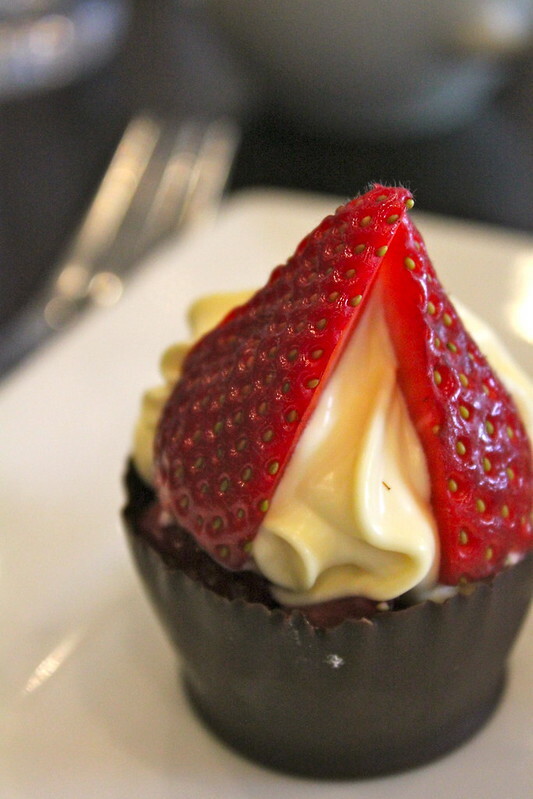 Yes I just love places like the Victoria Room and the QVB Tea Rooms. Soo opulent and gorgeous! Wow… those lemon curd tartlets look incredible! And Coronation chicken is one of my favourite sandwich fillings! The food looks gorgeous! The sandwiches and the little tarts look so yummy! All of those delicious desserts look so tempting! I love the chocate cup with strawberries and cream! I have a soft spot for finger sandwiches made with white bread, especially the boiled egg sandwiches which are so easy to gobble like 20 in about 5 minutes! I heard the Stamford Grand would be pulled down soon to make way for high rise apartments in that area though. Me too! I can do the same hehe. Oh I didn’t know that about the Stamford Grand, that’s a shame! looks like an absolute feast — I’m full already. I *love* high tea. These photos are wonderful and make me want to go, like, now! Oh my goodness what a selection! 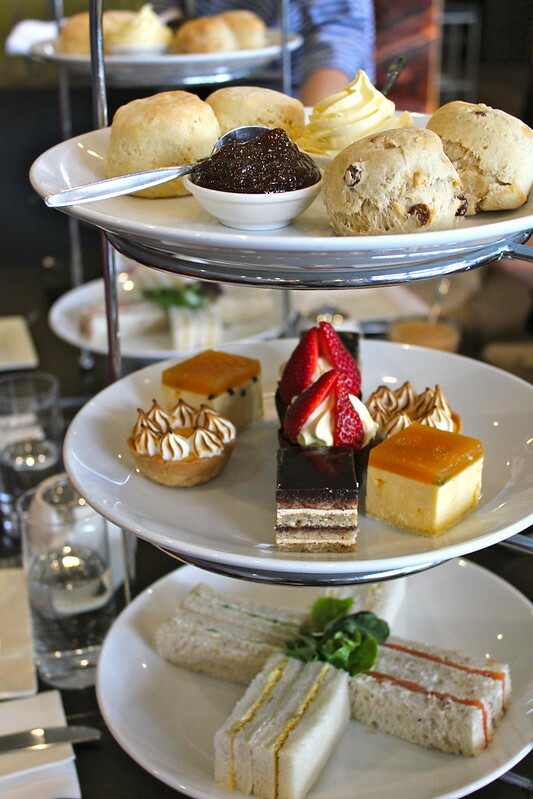 Can you believe the average high tea in Brisbane is about $49!!! This. This is why I must move to London. Love your blog!